I recently got in touch with the folk over at Glowsticks.co.uk with the cheeky request of a discount code to offer on the site. 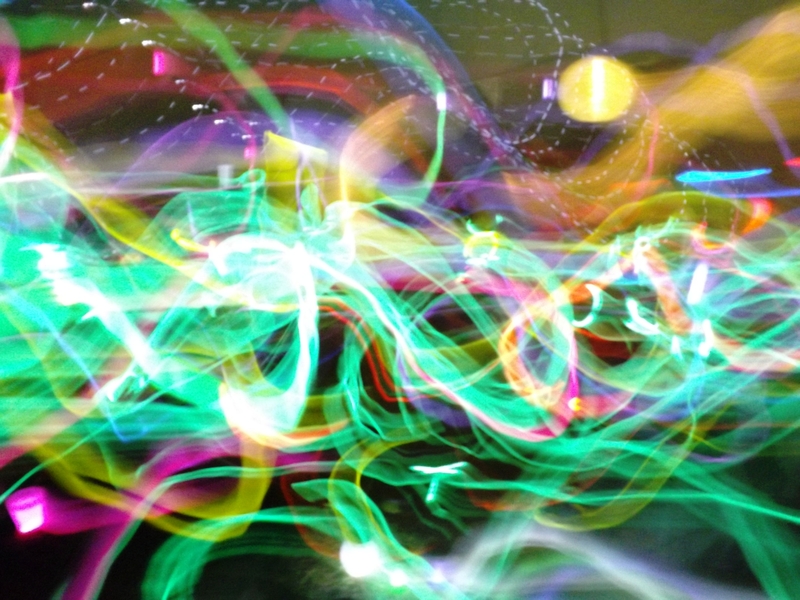 After all, I’ve been a customer of their site for years and years, and I thought it was about time I shared my love of Glowsticks with the world. Luckily for you, they were more than happy to offer a discount code – just in time for those summer holiday parties and festivals! As well as the discount code, they kindly sent me a few products to review too – so I thought I’d give you a run-down of some of my favourite products they sell. As you can see from the photos, we’ve been glowstick fans for years – I first came across them as a ‘thing’ at least 20 years ago, and I’ve been mesmerised with them ever since. 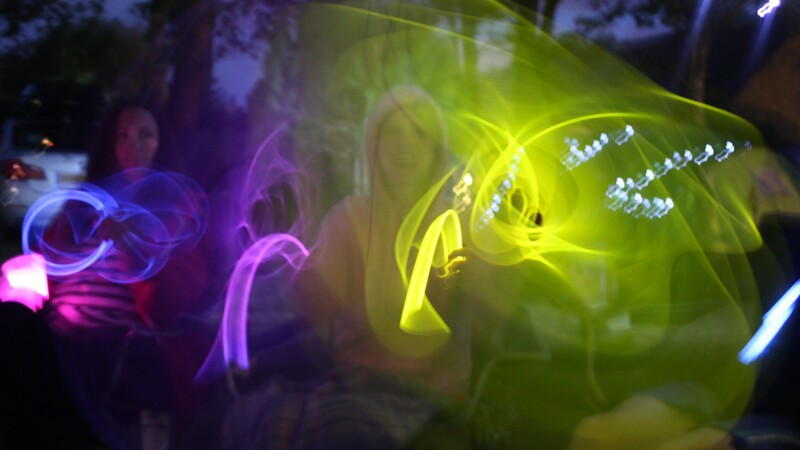 When I used to go camping with my family and my parent’s old friends as a child, our friend Pete would always arrive replete with various glowing novelties, and the memory stuck with me for years after. 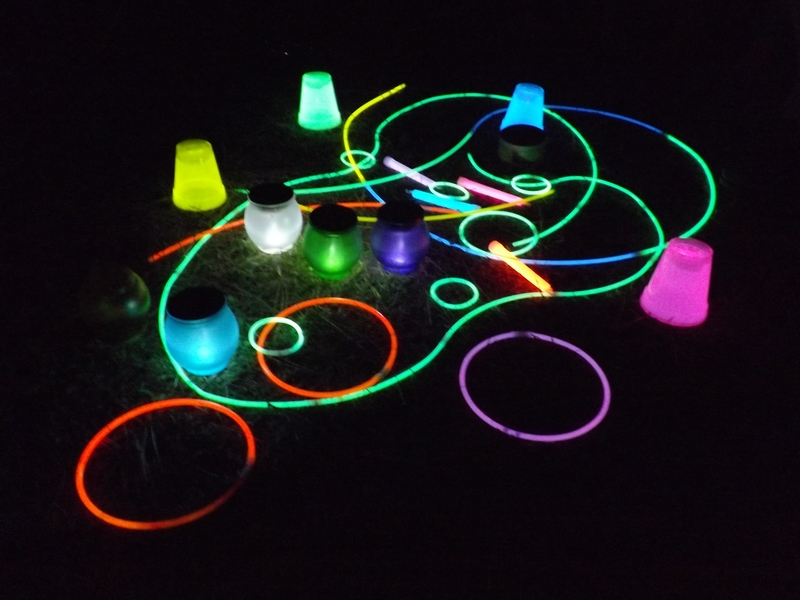 Then, when I had a young family of my own, and we started taking similar camping trips with our own university friends, I took over the reins from Pete and have become the Glowstick guy of our own group – and I couldn’t do it without Glowsticks.co.uk and their AMAZING line-up of stuff. So here’s my Top 5 things to buy – once you get to the end of the list you will be rewarded with a discount code for your troubles! 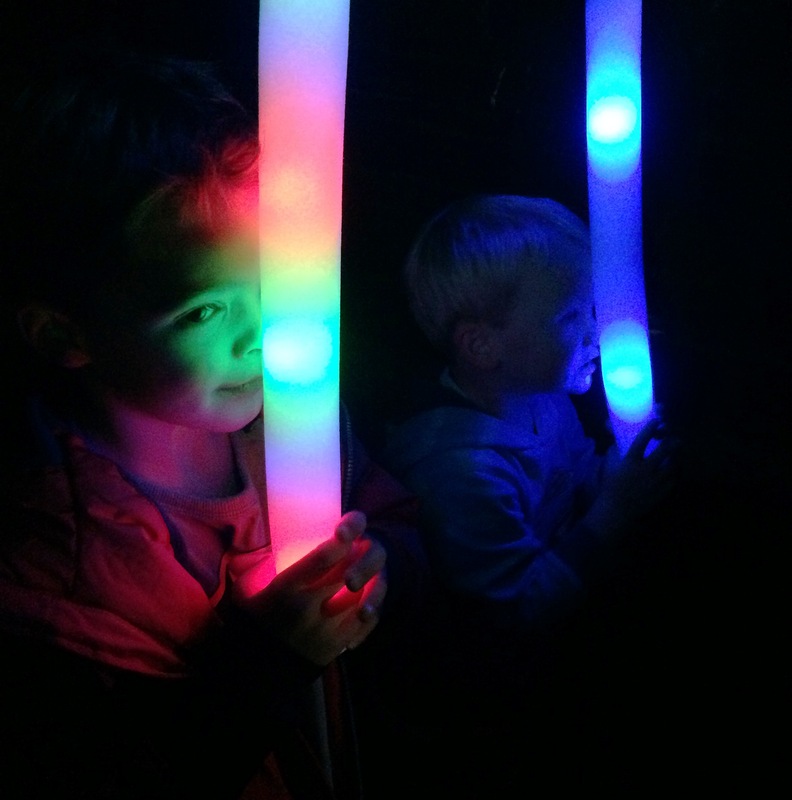 In the pantheon of light-up novelties, these are a fairly new thing to me – previously only seen at events like firework displays or concerts, they include things like flashing swords, wristbands, wands, necklaces and more. And if you buy them direct before you head off to your parties or festivals, you’re going to make a big saving on the price you’d pay there. 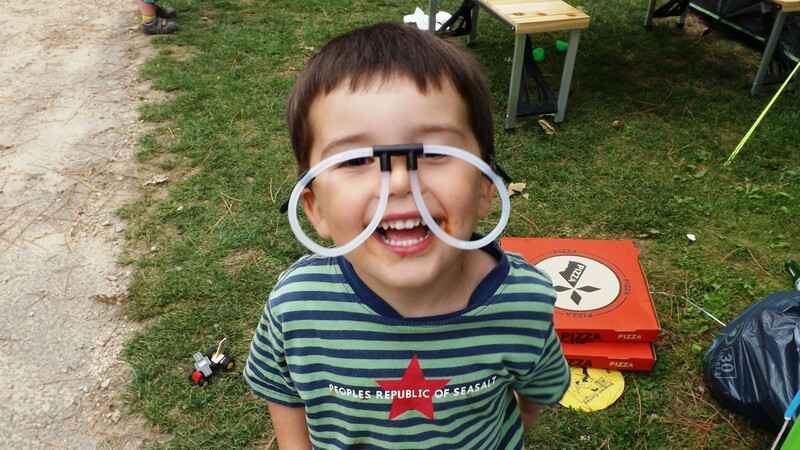 I can highly recommend the swords for fireworks night fun – as you can see in the photo of Robert above! 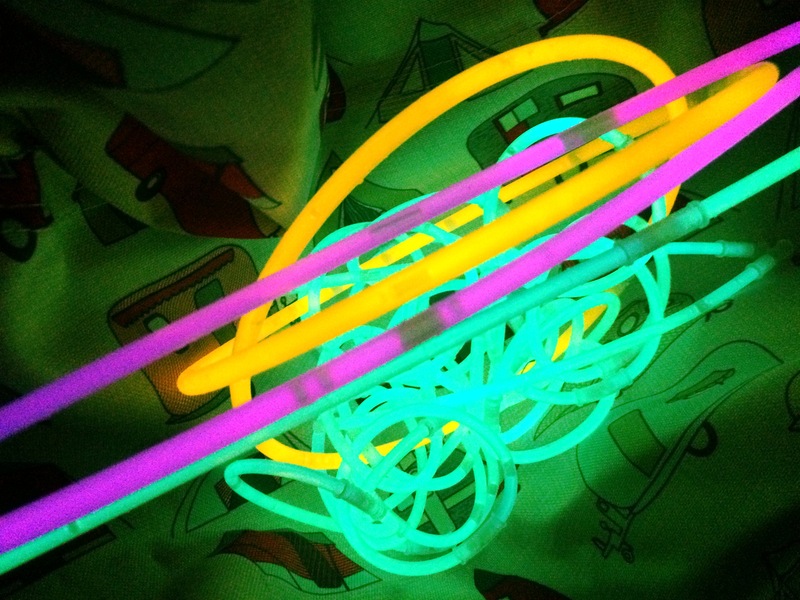 In a similar vein to novelty straws, glowing glasses are made up of several small glowsticks held together with a few plastic joiners – and the effect is fantastic. You can’t really tell from the shot of Freddie modelling them below, but they look superb in the dark – and they fit adults and children alike. They won’t do much for your eye-sight though – there’s no glass in these bad boys! These are probably the most famous of the glowing novelties, and they certainly offer the most fun when it comes to making stuff. 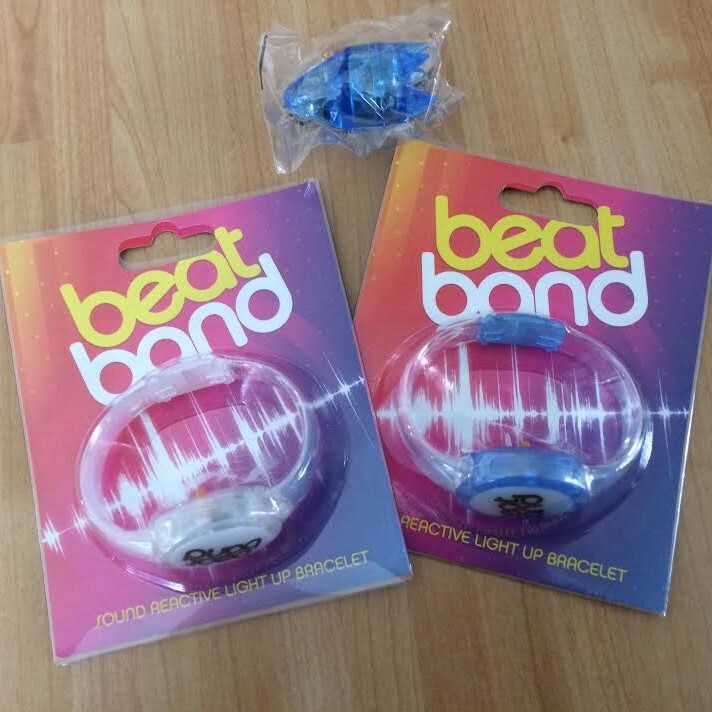 Each glow necklace or bracelet comes with a small plastic joiner to connect it together in a loop – but the joiners also mean you can join multiple items together. We usually have tonnes of fun with these on camping trips, as you can see from the look on my friend Claire’s face in the photo above (and a few more at the end!). 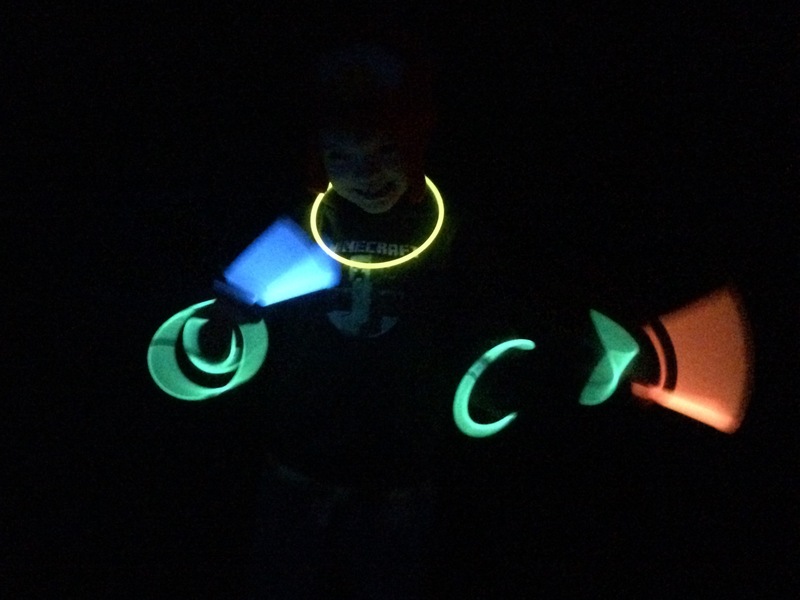 These are definitely on of the coolest new additions to the world of glowsticks, and lend themselves perfectly to a fun night in the dark. We took them on our camping trip to France a few years back, and I’ve already ordered more for this year’s summer trip. 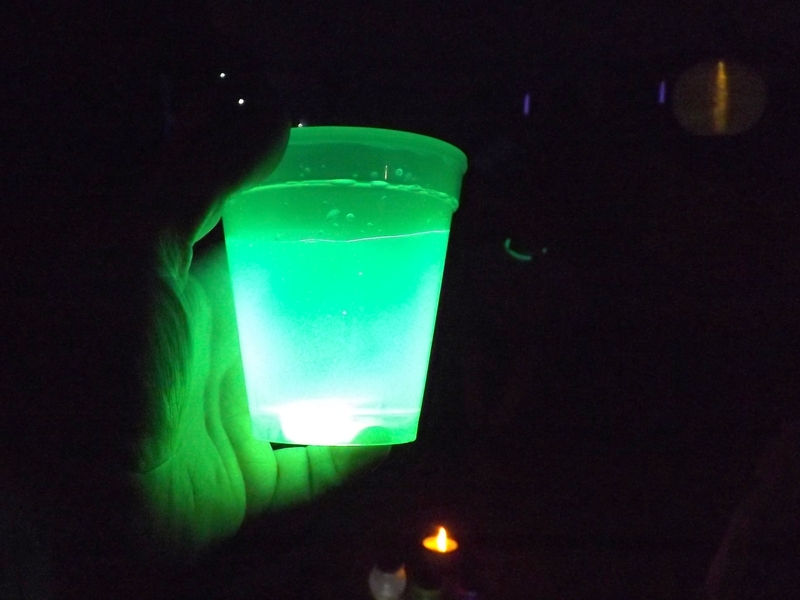 The glowsticks sit in the bottom of the cup, and they come with a little pusher device to snap them, after which they fill up the entire outside of the cup. It’s nice thick plastic too, so you can happily drink from these without any worry. To my mind these are the originals, and still the best – simple yet effective, and of so satisfying to snap when you set them off. As an added bonus, they come with a little hook at the end so you can hang them from necklaces or tent ropes – or pretty much anything really. 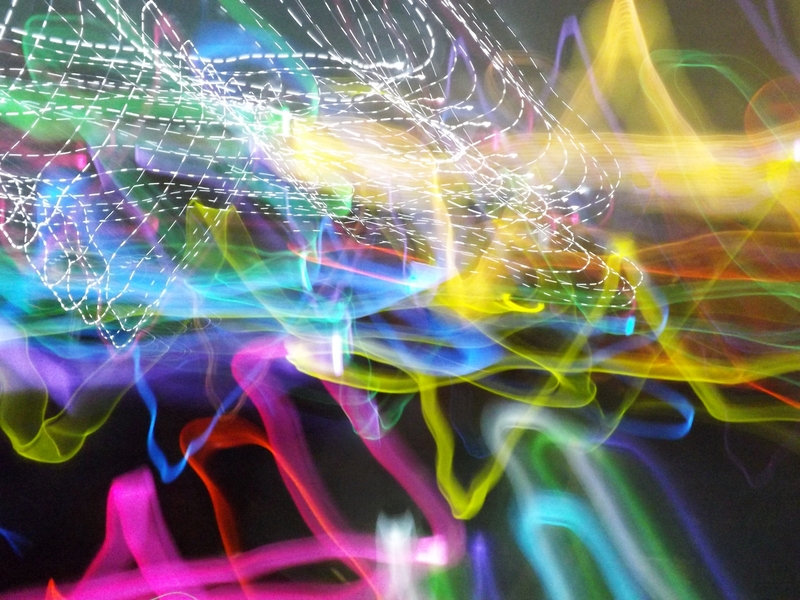 For added fun, why not stick your camera on a slow exposure and create some light art like we did?! So that’s my Top 5 – and I can highly recommend all of them. If you’re thinking of buying some of your own, you can use the discount code HENRYSBLOG to get 10% off your entire order. The code is valid until December 31st and there’s no limit on the size of your order. Go get ’em! 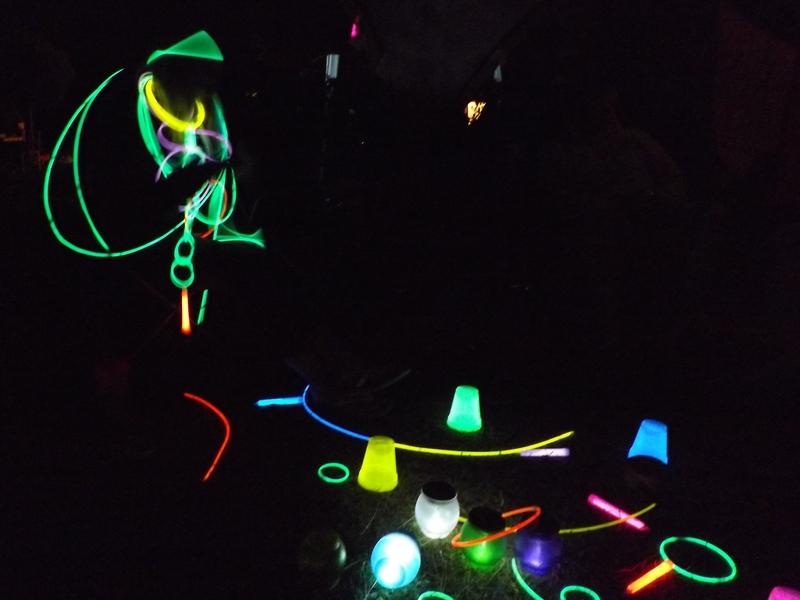 And if you’re not convinced, here’s a couple more photos of some of our glowing exploits from recent years.